So neat. Nothing spells clean and pristine like an all-white look! Contrary to popular belief, it's doable even after summer passes, and it doesn't always have to be styled demure and ladylike or uber preppy. 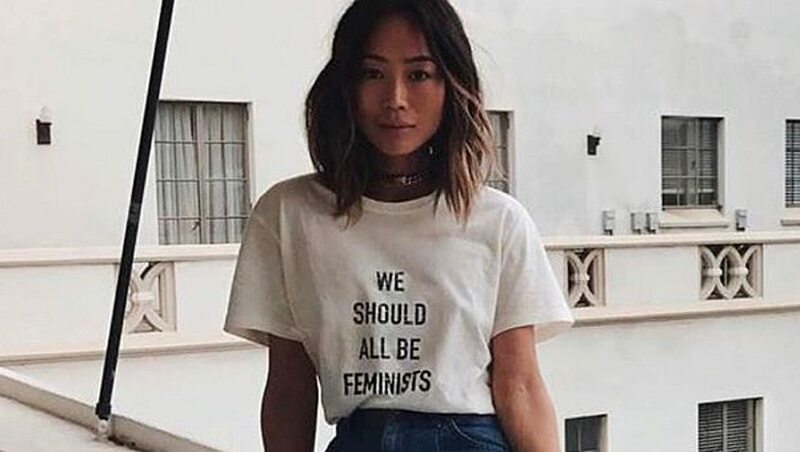 Below, 15 girls who get it right, according to their own personal tastes—keep scrolling 'til you find a peg you prefer! 1. Renee de Guzman admits that she's not one to dress for sun season, but when she does, it's fresh and sweet. We love her embroidered minidress and that socks-and-Mary-Janes combo! 2. Hola! We've had a keen eye on Tricia Gosingtian's Barcelona OOTDs, and this head-to-toe linen look is possibly our favorite. 3. On the other end of the spectrum, wherever you're heading might be a tad chilly, so make like Heart Evangelista and opt for a long white trench over a turtleneck and tie-waist skirt. 4. An off-shoulder top paired with ruffle-hem trousers and lace-up sandals is Bea Marin's way to go. 5. Big night? Jeline Catt's pantsless, oversized tuxedo jacket outfit scores her a hundred points in the style department. Don't forget the satin mules! 6. 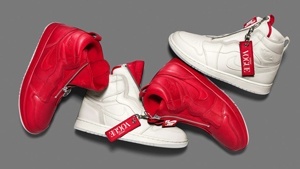 Nice and comfy! Layer a knit LWD over a long-sleeved top and chic tasseled loafers for catching that long-haul red-eye flight. Camille Co's travel tips are always gold. 7. 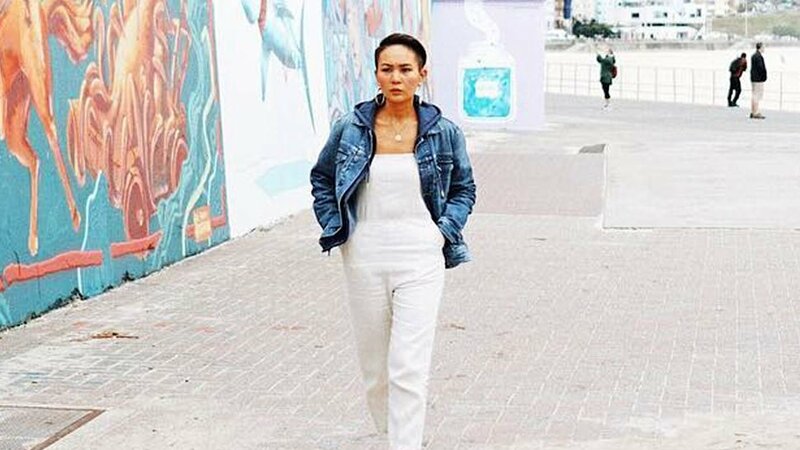 Hit the streets like Laureen Uy does, punctuating ripped jeans and a size XL tee with gashes of red Fila. 8. Liz Uy, champion of the dress-over-pants look, shows you how to strut it on the red carpet. No evening gown needed. 9. Effortless as always, Kim Jones steps out in blanc...with a dash of bright yellow to keep things interesting. 10. 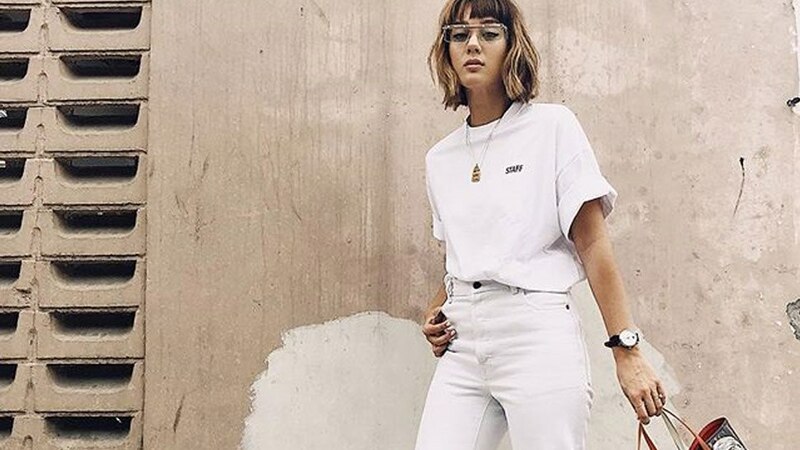 No one does laidback cool like Jess Connelly in icy white double denim. Nonchalantly shrug one shoulder down for the full effect. 11. Talk about well-suited. Georgina Wilson powers up in a pinstriped Khaite set paired with vinyl-strapped flat sandals. Living for that high-low mix. 12. We're all for Martine Cajucom's silken boudoir chic! Our advice: Take your luxe intimates out for the night. 13. Gloriously baggy cargos, a shrunken tank top, and high-top Converse? Ida Anduyan is throwing us waaay back to the '90s, and we don't mind one bit. 14. It ain't news that Marie Lozano polishes up extremely well, but this outfit consisting of a military-style blazer and wide-leg trousers is on a whole new level. 15. We love how Kathryn Bernardo's soft, lacy ensemble is almost like a whisper.